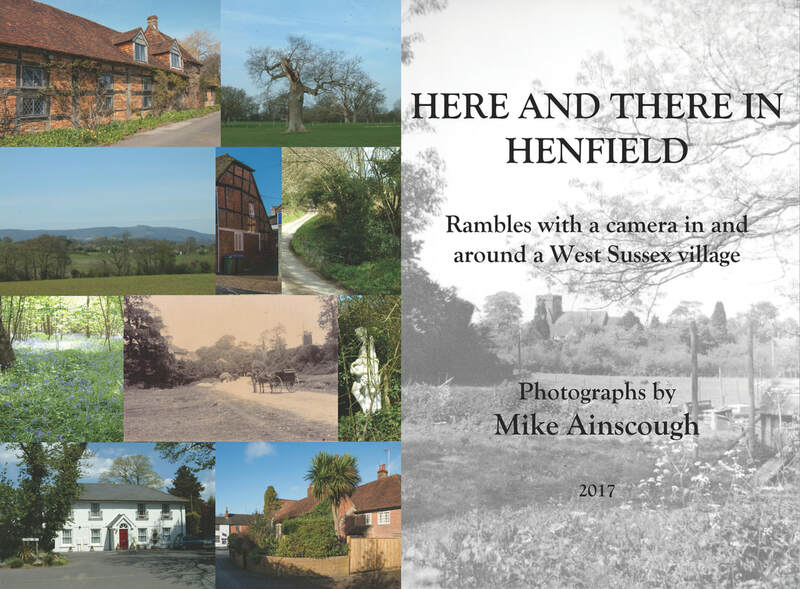 "here and there in henfield"
This A4, landscape paperback book - first published in August 2017 - contains 78 pages containing nearly 300 photographs of places in and around the village, taken over many years, with commentaries. 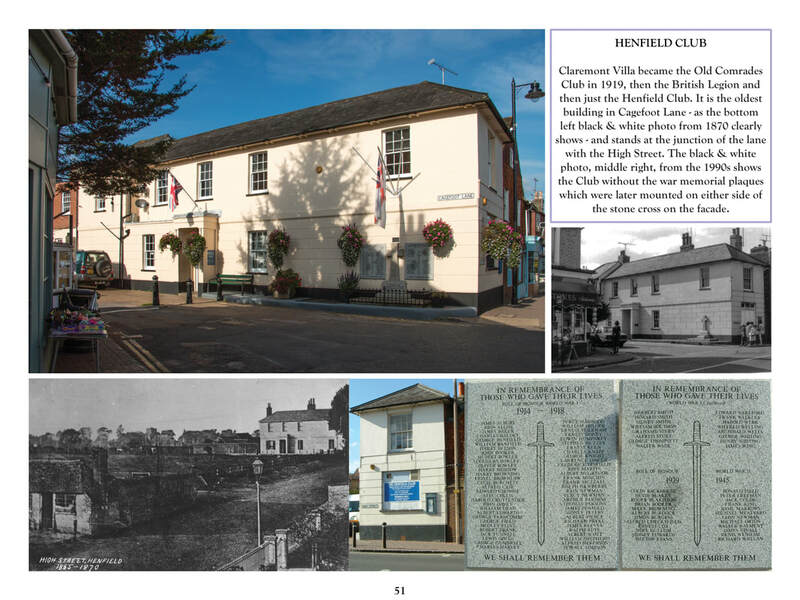 The majority of the photographs are in colour - the products of my own cameras - with some black & white pictures of the village from my own collection and a few from the Henfield Museum. 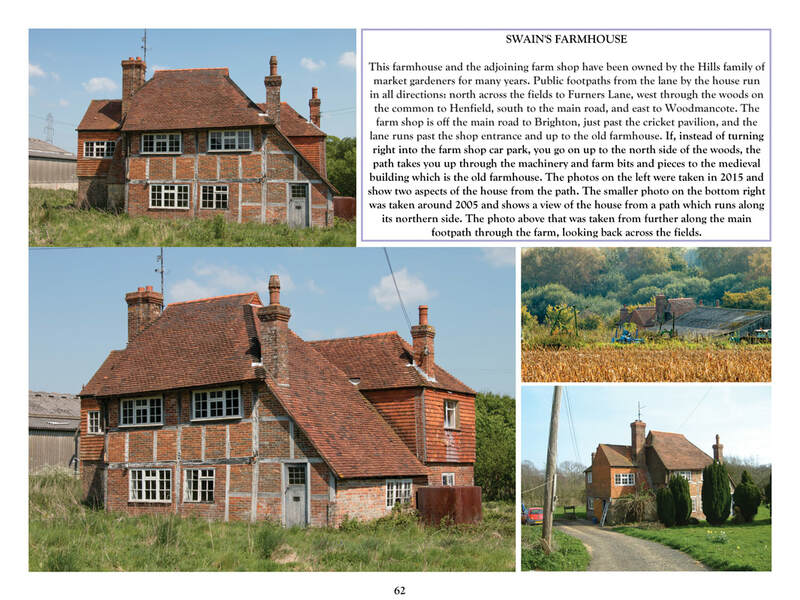 The large photo below shows the front cover of the book, and the smaller images on the left show two specimen pages from the book. Click on the images to see them in a larger size.